Themes are the perfect way to jazz up a birthday. 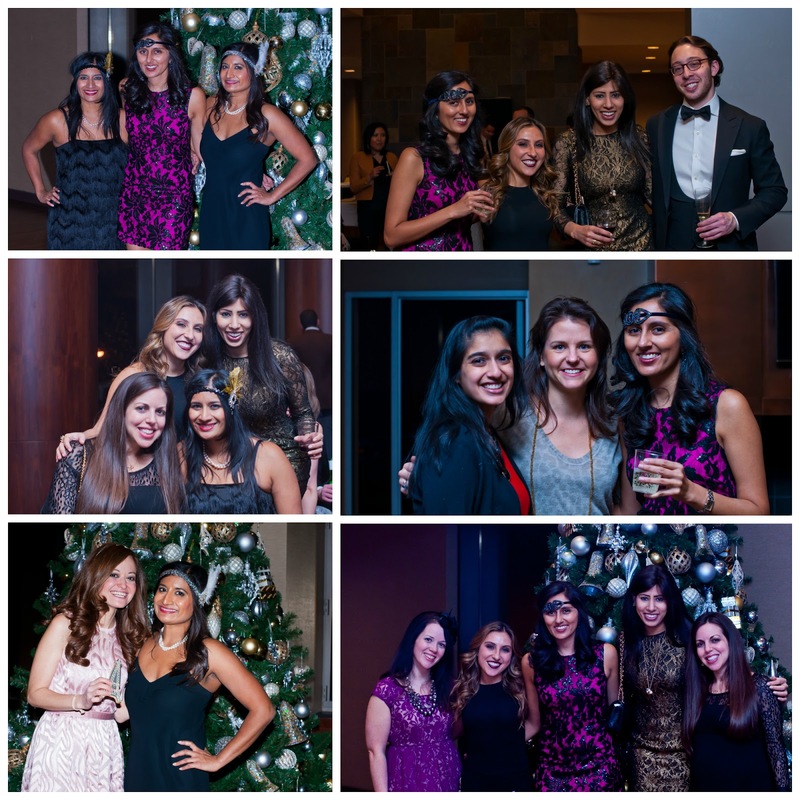 Our childhood friend, Veena, turned 35 this year and wanted to celebrate this birthday in STYLE. 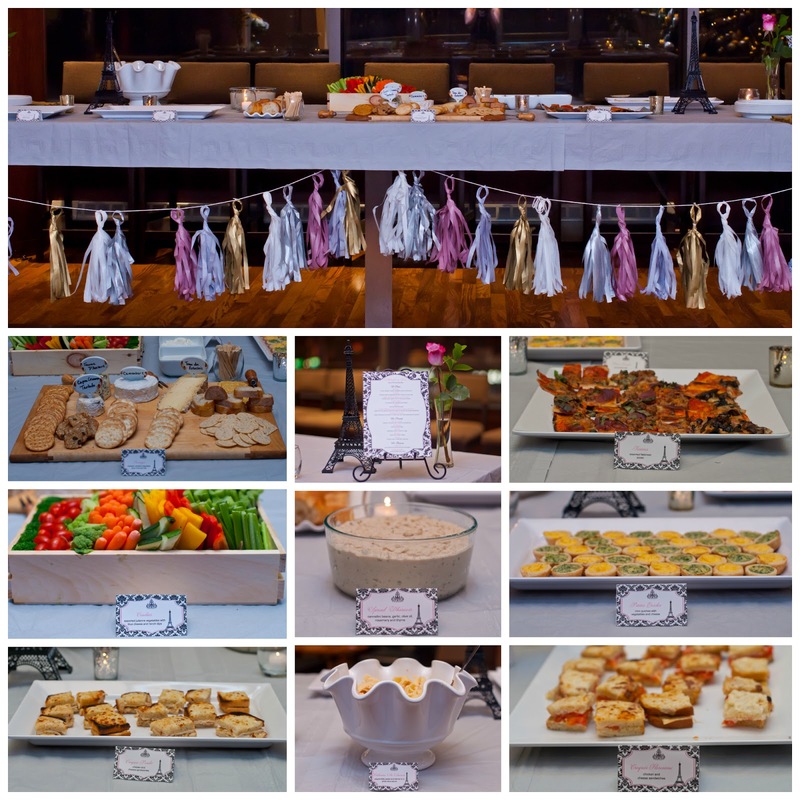 After weeks of brainstorming, she decided on a 1920s Midnight in Paris party. We LOVED this idea. Paris was at the heart of the Roaring Twenties in fashion, entertainment, art and architecture. We were excited to provide some TWINSPIRATION for this party. 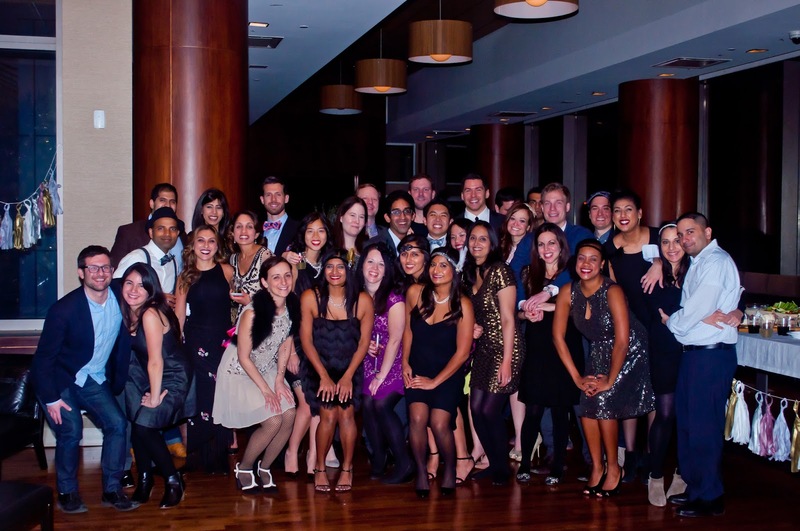 Woody Allen’s “Midnight in Paris” inspired the theme of this party. Who wouldn’t want to combine the FUN fashion of the Gatsby era with SCRUMPTIOUS French food and vino! Veena transformed her venue into a chic Parisian avenue with whimsical street signs and Eiffel Towers. If you want to add a bit of the film to your decor, scatter vintage books by Ernest Hemingway, Zelda and F. Scott Fitzgerald, and T.S. Eliot. 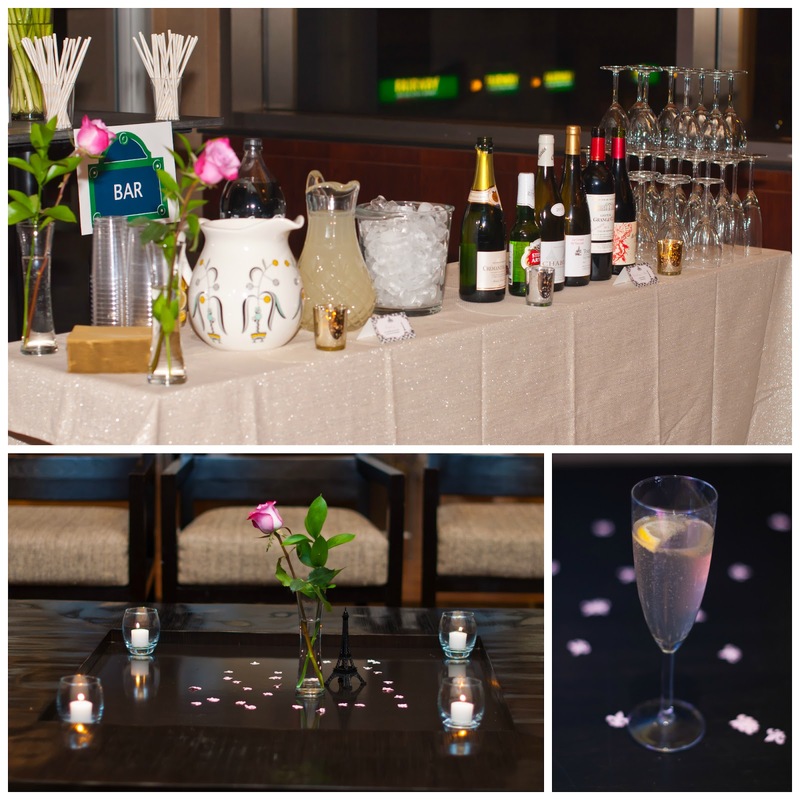 The coffee tables were decorated with a simple pink rose, a miniature Eiffel tower, hurricanes with white votives candles and fleur-de-lis confetti. Veena decorated the bar with a metallic gold tablecloth, pink roses and silver/gold votive candles. She placed a beautiful bouquet of white gladiolus behind the bar. We LOVED her street sign designating the bar. We believe every party should have a signature cocktail. Veena served a classic 1920s cocktail, a French 75. To recreate this drink, simply fill champagne flutes with gin, simple syrup and fresh lemon juice and top each glass with champagne. This refreshing cocktail offers the perfect combination of nose-tickling bubbly, gin and citrus. We also served Vin Rouge et Blanc and Stella beers. Don’t forget a pitcher of l’eau! We LOVE French pastries, baked goods, and desserts. 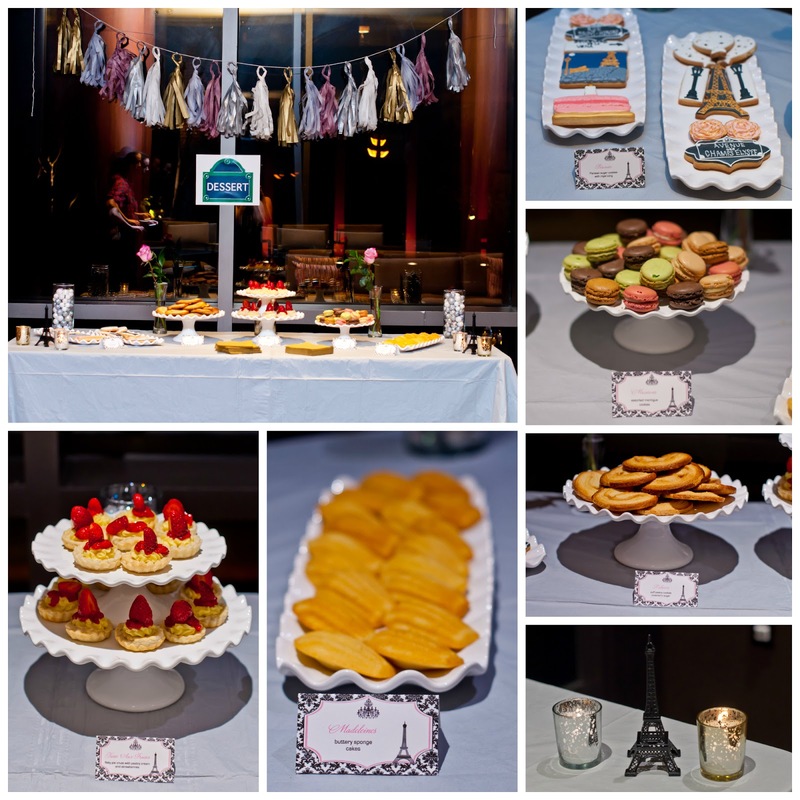 Veena created a gorgeous Parisian dessert table with Madelines, Palimers, Macarons, French Cookies from Tiny Kitchen Treats and Strawberry Tarts from Baked by Archana. 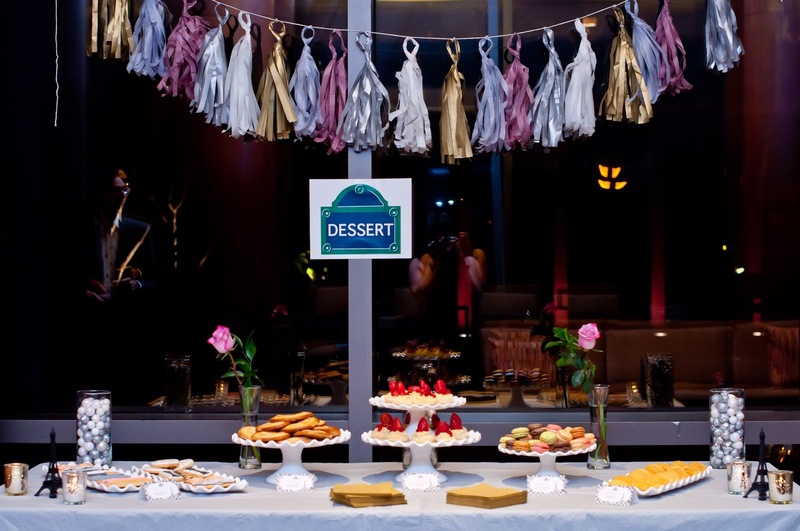 She framed the dessert table with another paper garland and whimsical dessert street sign. The key to a gorgeous dessert table is varying heights of the decorative pieces and the platters. 3 cylinder vases with silver and white filler and pink roses decorated the back of the dessert table. The front of the dessert was adorned with silver and gold votive candles and a miniature Eiffel Tower. Here’s a tip from us- serve colorful treats on white platters. Guests were asked to dress in 1920s attire. Ladies were decked out in flapper dresses, drop waist dresses, feathers and/or jeweled headpieces. The gentlemen looked quite dapper in their suits, ties, tuxes and bow-ties. For music, Veena played jazz and swing music throughout the evening. 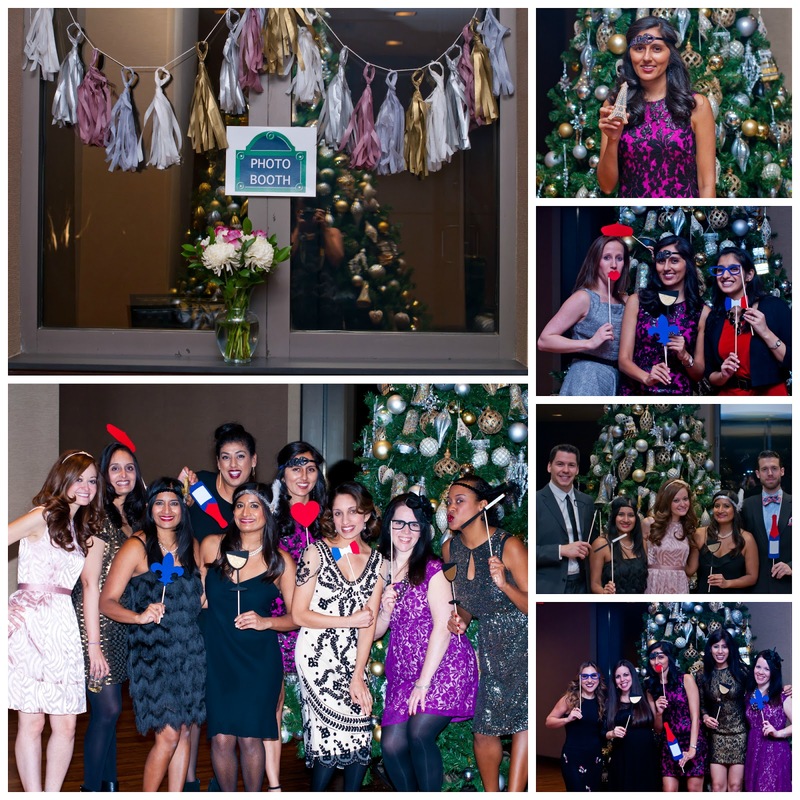 Photo booths make the evening even more memorable for your guests. Veena picked up whimsical props from Etsy. The guests LOVED photographing themselves with wine glasses, champagne bottles, berets, French bow-ties and other props. We had an amazing time. Veena successfully transported a little piece of Paris into New York City on her birthday. I had so much fun! Thanks for the TWINSPIRATION! Thanks so much for your help and for convincing me to do a theme. It really made for a fun and memorable evening.